This year marks the 50th anniversary of the assassination of President John F. Kennedy, and some of the educational channels such has The History Channel and National Geographic have been offering specials, some repeated from previous years, covering that dark day in U.S. history. Included is the drama “Killing Kennedy,” based on the best-selling book by Bill O’Reilly and featuring Rob Lowe as JFK and Ginnifer Goodwin as Jackie Kennedy. Meanwhile, the movie “Parkland” had a limited run in theaters earlier this fall and now is getting a chance to reach a wider audience via pay-per-view offerings. Parkland Memorial Hospital was where JFK was taken and died on Nov. 22, 1963, after suffering a massive head wound during a shooting in Dealey Plaza on the outskirts of Dallas while riding in a motorcade. Three days later, alleged JFK assassin Lee Harvey Oswald also died at Parkland after being shot in the abdomen by Jack Ruby during an attempt to transfer him to a county jail. Although the movie is titled “Parkland,” the facility inevitably became a historical footnote and site for tourists, as the actions at the hospital pretty much were inconsequential. Both Kennedy and Oswald were beyond saving by the time they were rolled into the emergency rooms. There are some intense and gruesome scenes at Parkland as the emergency doctor on duty , Charles “Jim” Carrico (Zac Efron), tries feverishly and futilely to save both men’s lives. Also detailed in the movie is the ugly scene when the Secret Service forcibly violated Texas law by removing JFK’s body and returning it to Air Force One for the flight back to Washington, D.C., shoving aside Dallas officials who insisted the body be retained for an autopsy. “Parkland,” aside from the chaos at the hospital, focuses on four other characters drawn unwittingly into the tragedy. There is Forrest Sorrels (Billy Bob Thornton), head of the Secret Service unit charged with providing JFK’s protection during the Texas trip. There is Abraham Zapruder (Paul Giamatti), the unassuming Dallas businessman who filmed the now famous and graphic seconds of the assassination. There is Robert Oswald (James Badge Dale), a low-key family man whose life is turned inside out because his brother Lee is the alleged assassin. There is James Hosty (Ron Livingston), the Dallas-based FBI agent who had been tracking Oswald but did not believe he was a threat. Giamatti as Zapruder and Dale as Oswald are particularly touching as two men who gain unwanted fame thanks to nasty twists of fate. Giamatti portrays Zapruder as a decent man forced to keep his emotions in check, although anguished, as he deals with the unfolding realization of what he captured on film. Particularly agonizing is the moment when Zapruder first views the film, horrified as the footage shows the devastating head shot. Zapruder also most deal with the officials, as Sorrels demands to view the film, and the seemingly crass aspects of history, with Life magazine pursuing rights to the film – Zapruder agrees to sell the film only upon assurance from Life that the grisly frames showing the head shot never be shown publicly, a promise that Life could never keep. Dale, who had a memorable scene-stealing turn as Gaunt Young Man in last year’s “Flight,” presents Robert Oswald as a man whose initial shock and bafflement upon hearing his brother is the alleged assassin are soon replaced by frustration. His meeting with Lee (Jeremy Strong) has him exploding in exasperation as Lee seemingly dismisses the scope of his alleged actions and talks about daughter June needing new shoes. Later Robert can only react with amazement as his mother Marguerite (Jacki Weaver) appears delusional, insisting Lee was a government agent and a hero and who seems more interested in exploiting her family’s new fame to make money. The government officials of Sorrels and Hosty come off less sympathetic, although Hosty is understandably surprised that Oswald, who he thought was just a lightweight if disgruntled person, was capable of pulling off such a crime. Hosty soon gets caught up in the panic at the FBI office as his superiors are more concerned that the FBI will be embarrassed that the agency had Oswald in its sights but did nothing. Sorrels is shown as a man who tries to set aside his anguish but also seems a bit preoccupied with his agency’s image too, failing to prevent an assassination. The use of handheld cameras adds to some of the frenzied activity in “Parkland,” especially in the hospital scenes. In the more calm, if dramatic moments, Giamatti and Dale provide touching moments, as Zapruder finally breaks down later at home in the arms of his wife. And in a sad finale of a life that tragically misfired, Lee Oswald’s funeral is a testimony to a man to be forever despised. With not enough people in attendance even to provide pallbearers, Robert Oswald must plea to newspaper photographers covering the event to help him carry the casket to the grave site. “Parkland” offers a unique and wrenching look at some of the people who were relegated to the background that sad weekend in 1963, but were very much a part of a tragic unfolding of history. The Marvel Comics juggernaut continues, this time with the hammer-wielding Asgardian Thor — part two. As we have learned, the life of a super hero offers little time for basking in glory – it’s always one crisis after another, usually with the future of life at stake. Even supposedly vanquished foes manage to slip away and save themselves to fight another day. “Thor: The Dark World,” opens with a prelude, narrated by Odin (Anthony Hopkins), king of Asgard, recalling that thousands of years earlier, a race of beings, the Dark Elves, despite having access to some force called Aether, were defeated by Asgardian fighters. The Aether, seized by the Asgardians — and looks like a demented DNA chain — cannot be destroyed, so it is encased in rock and buried were it cannot be discovered. Back to the present, Thor (Chris Hemsworth), following his adventures on Earth, has been busy restoring peace within the nine realms. 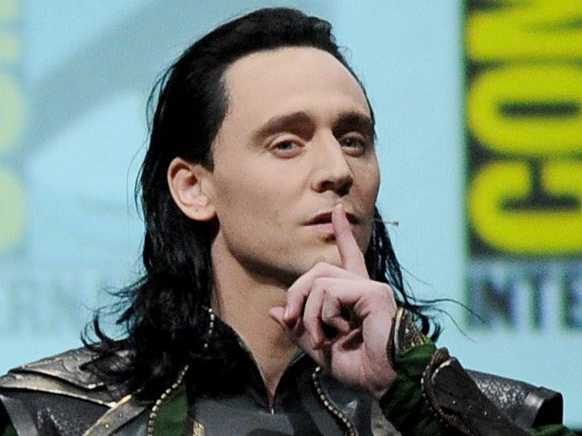 Loki (Tom Hiddleston), for his transgressions, has undergone a dressing down by his adoptive father, Odin, and sentenced to life in an Asgardian prison. Thor returns to Asgard triumphant, but with lingering issues. It’s been two years since he left Earth and left scientist Jane Foster (Natalie Portman) in a lurch. Odin, praising Thor’s efforts, offers fatherly advice, suggesting Thor forget about any relationship with an Earthling. Meanwhile on Earth, Jane is clumsily trying to recover from Thor’s disappearance with a blind date that gets interrupted by intern Darcy Lewis (Kat Dennings), who brings in evidence of an anomaly that might be a wormhole. During an investigation, Jane falls into the wormhole, landing next to the stone tomb of the Aether, which has opened a crack in the rock and manages to slither into Jane, making her a host to it. On Asgard, Heimdall (Idris Alba), watcher of the universe, reports to Thor that he no longer can see Jane. So Thor returns to Earth, where Jane’s hands-on-hips, where-have-you-been interrogation gets interrupted when it is obvious something inside her is going crazy. Thor grabs her and takes her back to Asgard. The escape of the Aether from the rock has aroused Malekith (Christopher Eccleston), leader of the Dark Elves, who has been in some sort of deep sleep but now is ready to resume his efforts to plunge the universe into darkness. The screenplay by Christopher Yost, Christopher Markus and Stephen McFeely, based on a story by the late Don Payne and Robert Rodat, has some deficiencies, most notably presenting a villain that is devoid of any character or depth. Why Malekith seeks a universe in darkness is never explained. This guy just does not want to yuk it up occasionally – cut loose, live and love and party. And of course he has absolutely no sense of humor. So thank goodness for Loki with his suspicious allegiances and snarky comments, and Darcy with her can’t-take-life seriously foolishness. They freshen up what is a story on the brink of going stale. It gets to the point that Thor and Malekith seem relegated to secondary roles. Hook up Darcy with Loki for future adventures. What would be interesting — and possibly irritating after a while — would be a link-up between Darcy and Loki. “Last Vegas” can be considered the aging baby boomer version of “The Hangover” movies. It is certainly not as outrageous as those wild adventures, but “Last Vegas” is a sometimes funny, sometimes touching movie that will appeal to an older audience. What “Last Vegas” can boast is that its cast is proven, as the five lead roles are played by actors who have won Academy Awards. This distinguished group includes Michael Douglas (“Wall Street”), Robert DeNiro (“The Godfather Part 2” and “Raging Bull”), Kevin Kline (“A Fish Called Wanda”), Morgan Freeman (“Million Dollar Baby”) and Mary Steenburgen (“Melvin and Howard”). The script was written by Dan Fogelman, whose previews screenplay experience includes animated features “Cars” and “Cars 2,” along with “Tangled” and “Bolt.” So it is no surprise that the story Fogelman weaves is a simple one, as four lifelong friends reunite for a trip to Las Vegas, where one of the group is getting married for the first time. The movie begins with a flashback as the four friends, on the cusp of the teen years in Brooklyn, are shown in typical youthful rowdiness, which culminates with the theft of a bottle of scotch from a store. More than 50 years later, Billy (Douglas) is getting married to the much younger Lisa (Bre Blair), his first marriage. Tanned and still fairly trim, Billy is the member of the group still clinging to his long fading youth. Billy contacts two of his friends – Sam (Kline), a mild, happily married man, and Archie (Freeman), recovering from a mild stroke, reveling in being a grandfather while being held almost captive by an overprotective son, Ezra (Michael Ealy) – to invite them to Vegas for the wedding. Sam and Archie are willing, but bring up the sensitive issue of Paddy (DeNiro), the fourth friend in the group, recently widowed, electing to live a reclusive life and who has had a falling out with Billy. Despite the ill feelings, Billy insists that Sam and Archie trick Paddy into making the Vegas trip. They do so by lying, saying Billy is not going to Sin City with them, which just gives Paddy an excuse to complain constantly about Billy’s selfishness. When they arrive in Vegas, and Billy is there, Paddy grumpily agrees to tag along and celebrate Billy’s pending wedding, while continuing to harbor resentment of Billy for what he feels was emotional abandonment. Much like 2011’s big hit “The Best Exotic Marigold Hotel,” “Last Vegas” is the story of people past their prime receiving a chance to recapture some of their youth. It also covers familiar ground of old people who find themselves out of their element, mixing with younger people and feeling lost in the latest cultural moods, but who eventually not only blend in but provide to the younger crowd the benefits of years of accumulated wisdom. Some movies are blessed, and “Last Vegas” is one of them, with the appearance of a secondary character that adds a magical touch to the proceedings. In the case of “Vegas,” that character is Diana Boyle (Steenburgen), a lawyer-turned-lounge singer who befriends the four friends. Though far from being a headliner in Vegas, Diana possesses great perspective on her singing efforts, and is wise and can be blunt (“You’re not as charming as you think you are,” she informs Billy). She is smart and cute and each time she is on screen, she adds a infectious touch of a person initially on the perimeter of the group but who is very aware of what is going on. With time, she would fit in very comfortably with these four guys. “Last Vegas” takes a predictable path, but one that can guarantee being an audience pleaser. It is also a chance to observe proven veteran performers interact in believable ways.